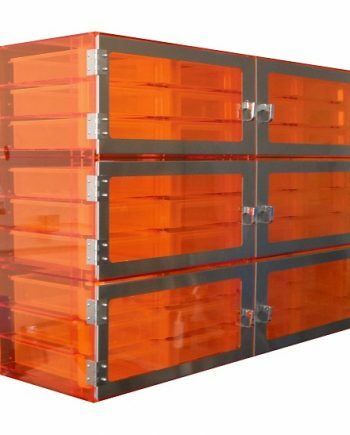 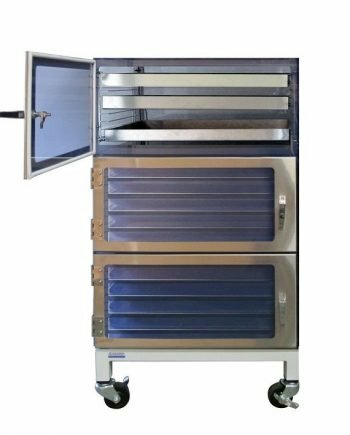 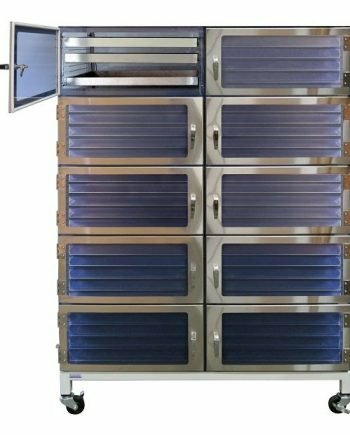 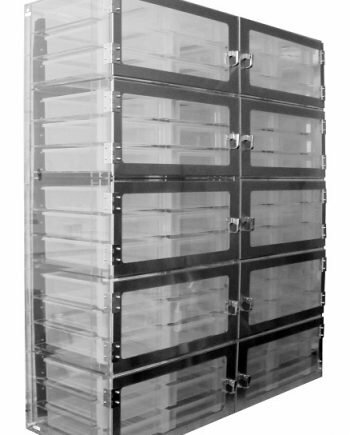 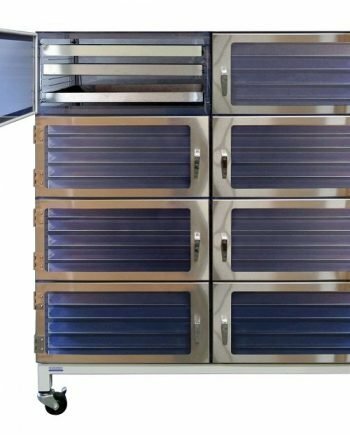 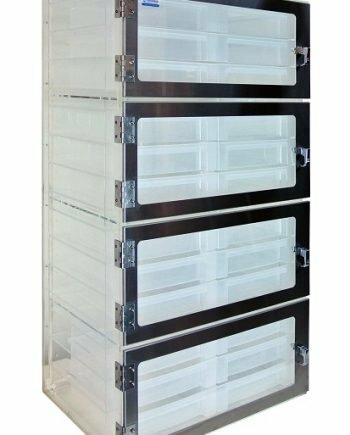 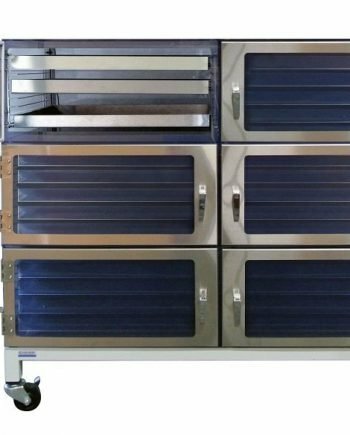 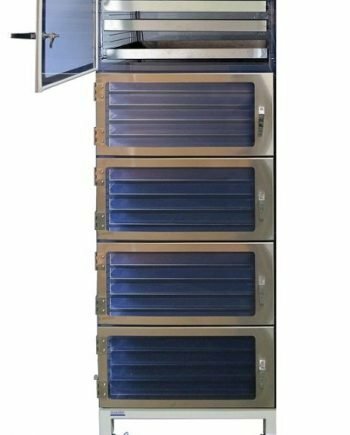 Cleatech® Sliding tray / Drawer storage desiccator cabinets (Tote Box Desiccator) provide optimal organization in a clean , low humidity nitrogen environment. 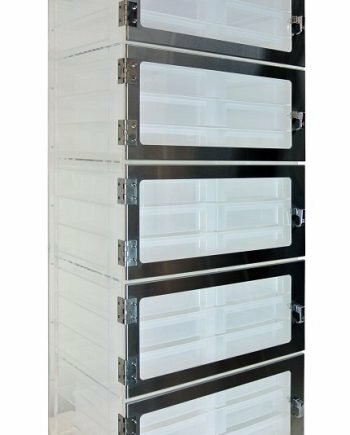 They are available in ESD-Safe and Non-ESD models. 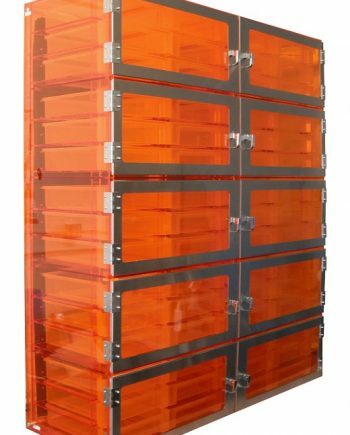 Non-ESD desiccators, Available in Clear Acrylic and Amber Acrylic construction. 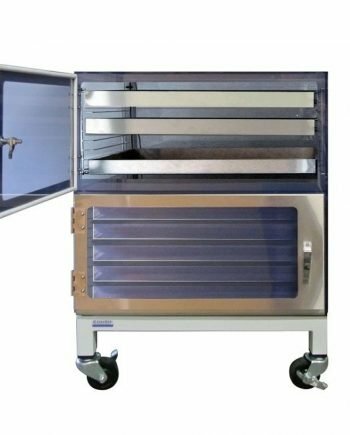 each chamber accommodates 6 Clear Polypropylene molded drawer with the inside dimension of 10.25″ W, 13.25″ D and 3″ H.
For ESD-Safe Desiccators, we offer static dissipative construction with conductive stainless steel trays (21″W x 15.25″D x 1.5″H) . 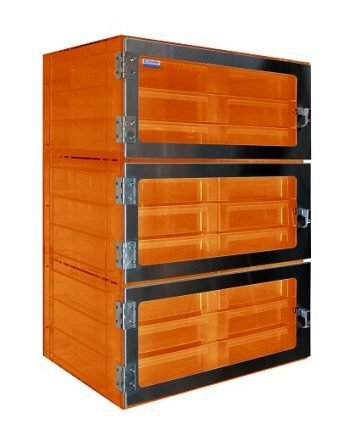 All metal parts are grounded. 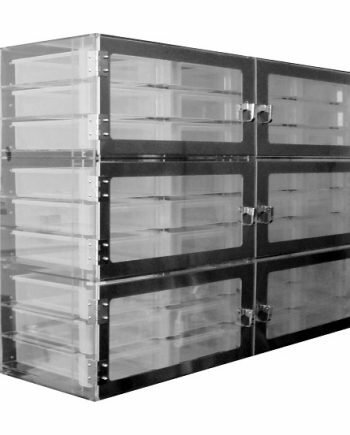 Choosing the optional Automatic nitrogen-purge control unit and humidity sensor reduces nitrogen consumption to 75%. 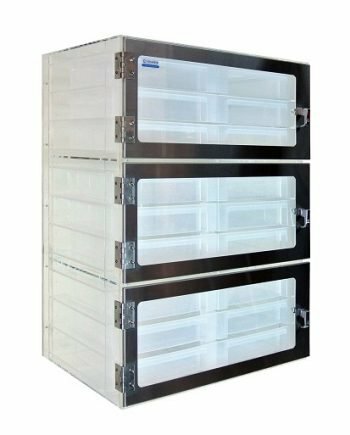 *** For more critical requirements, select the Multi-Channel nitrogen purge control unit. 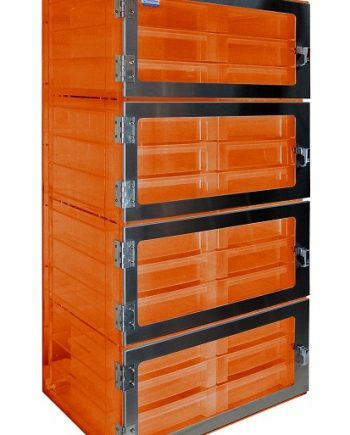 • Designed for optimal organization. 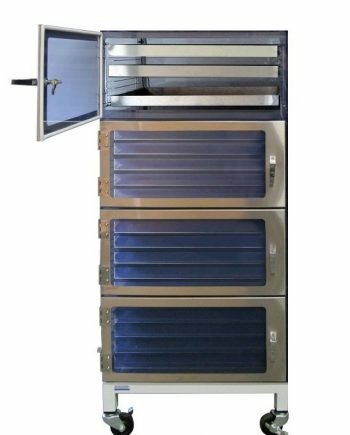 • An Automatic nitrogen purge control unit provides automatic low-humidity control capable of measuring and displaying humidity inside the Desiccator cabinet in the range: 5-100%RH, Accurately Controls Pre-Set Relative Humidity (+/- 2% RH).